Featuring a bottom shelf for additional storage space, this chair side table adds accommodating design to your living room space. Highlighted by a thick top, the table showcases unique side design accents. Crafted from wood and veneers with a two tone finish, complete your living room space with this elegant chair side end table. 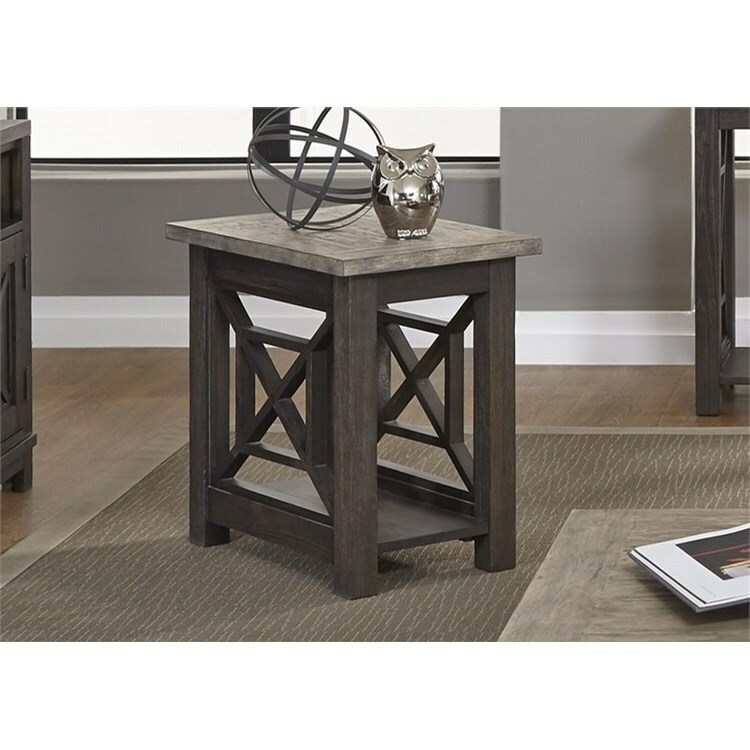 The Heatherbrook Occasional Chair Side Table with Bottom Shelf by Liberty Furniture at Miskelly Furniture in the Jackson, Pearl, Madison, Ridgeland, Flowood Mississippi area. Product availability may vary. Contact us for the most current availability on this product.